If you're shopping for an acrylic block privacy window, you don't have to think just in squares. 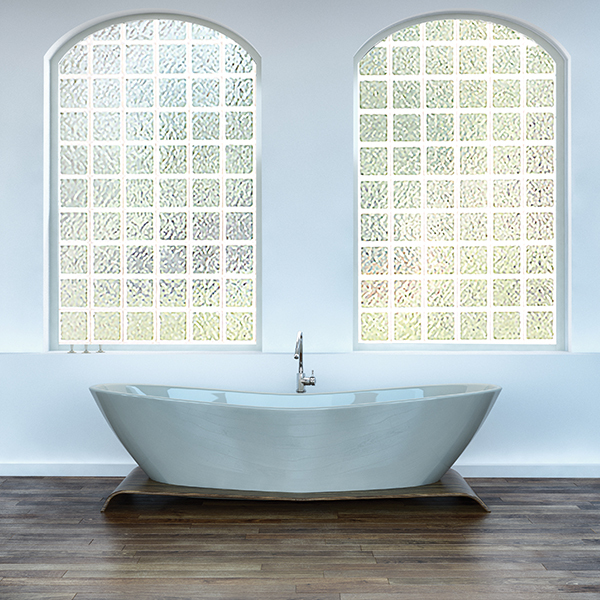 Hy-Lite offers architectural shaped acrylic block windows in everything from rounded arch tops to octagons to triangles, plus custom-sized windows! Just about whatever your dream is for an obscure acrylic block privacy window, Hy-Lite can make it. So go ahead, think out-of-the-box. Do you need some long, thin transom windows for over a bed? Are you looking for a round window as a focal area in a dining room? Are you excited about a stair-stepped window for a formal living room? Your creativity married with Hy-Lite's extraordinary capabilities is a great match. When you're ready to think in specialty shapes and sizes, call us at 888-256-2599. We're ready to create the acrylic block wall or window of your dreams!